One mum's cautionary tale: "This is why I'm against using the Mirena"
Looking for an easier and more affordable contraception solution a few years ago I got a Mirena inserted. Turned out it was the worst decision I’ve ever made, and I’m not the only one who feels this way. I already had two kids and although I wanted a third, I didn’t want the hassle of taking the Pill before we were ready to start trying for a third. 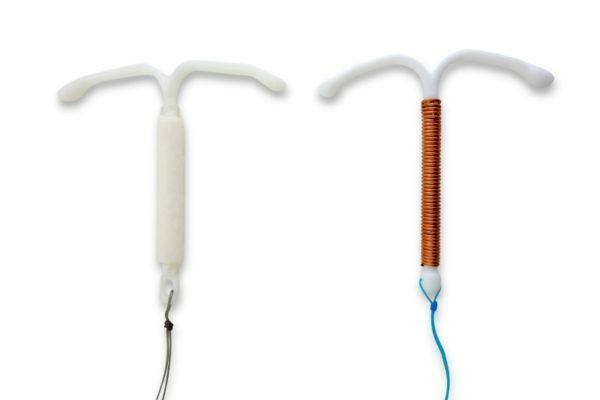 The Mirena IUD (intrauterine device), a small T-shaped device made from plastic and wires seemed like the best option. I’d heard a few people I know were using them without any hassle, and even my doctor raved about hers. There certainly were plenty of benefits – effective in preventing pregnancy, affordable, very low risk and you didn’t need to worry about remembering to take a pill every day. They also last for five years before needing replacement and many women stop getting their period once it is inserted – bonus, or so I thought! Everything was stacked in its favour but I did feel nervous for some unknown reason. I ignored my gut instinct and went ahead with it anyway. The sexual health clinic where I went was awful. Bedside manner was almost non-existent as they did nothing to help calm my nerves. For the record, I was told that there were some minor risks (like with any contraception) such as it being ineffective or a perforation occurring, but they were incredibly rare. Without really understanding any of this I signed a waiver. The Mirena was then inserted by a doctor, with no pain relief because apparently I would be fine having given birth vaginally previously. Oh boy, they were wrong! How it hurt. I couldn’t believe how shocking the pain was. Afterwards they did a quick ultrasound to check it was in the right place and then sent me on my way. I almost fainted at the desk paying my bill, and struggled to drive home. Then that night I writhed in agony in bed with a lot of heavy bleeding. Even though the pain and bleeding subsided, two days later I knew I wanted this horrible thing out. I went back to my GP for removal, which apparently was easy and didn’t need a specialist. The only problem was, she couldn’t find the strings to pull it out. My doctor said they can sometimes fall out in the toilet without the woman noticing and that must have been what happened. But to be sure the Mirena had in fact fallen out, I was sent back to the clinic for a more in-depth examination and removal. I was put under general anaesthetic this time (thankfully!) and upon waking I was told that my Mirena had in fact done a Keyser Soze and wasn’t there. They sent me to an ultrasound specialist who also confirmed there was no Mirena. But I was unconvinced, I felt sure that I would know if something fell out of me. But where else could it go? I went on the internet – as you do – and couldn’t believe my eyes when I read stories about IUDs making a hole in the uterus and then migrating to other parts of the body. I needed to be sure it was out and insisted my doctor send me for an x-ray. She told me not to bother, but luckily I persisted because my instincts were right, the Mirena was still in my body but in the wrong place. It was near my bowel. I went into hospital a few days later for surgical removal by my obstetrician who warned me they might not actually be successful. Thankfully, the laparoscopy did recover the Mirena, which they found wrapped up in my bowel tissue. To my relief, the hole in my uterus had also healed over. My OB said the statistics state the odds of this happening are as small as 1 in 1,000, but he believed it may be higher than this, with some women walking around unaware their Mirena has moved. Well that’s a bit worrying isn’t it? I was so angry with my doctor and the clinic. How could I not have been properly informed of the risks? I jumped online to find out more and was utterly astounded when I saw how many negative stories there were out there for this ‘magical contraception’. It turns out I was actually one of the lucky ones. In many of these travelling Mirena cases the IUD actually embeds itself in the uterine wall, which will usually result in a hysterectomy. If that had happened to me, I would never have been able to have my beautiful third baby (we decided to try and fall pregnant straight after the IUD was removed and were fortunate enough to be successful). Even if you have twenty friends who love their Mirena please reconsider getting one – is it really worth the risk? Are condoms or the Pill that bad? I really wish that I had been more informed of the risks and done my own research, because unfortunately doctors aren’t aware of just how many issues they can create and therefore recommend it regularly – particularly to women with endometriosis because it can prevent periods. If you do go ahead with the Mirena, be sure to trust your instincts and not just your doctor – I knew something was wrong and I was right. If any negative health issues do occur after it’s inserted (even if they’re gradual), please don’t ignore them and see a medical professional immediately. Have you experienced any problems with the Mirena or a similar contraception? *This post was written anonymously due to the sensitive and personal nature of the topic.